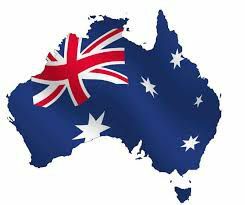 A publicly-traded Australian pharmaceutical and biotech company which recently entered the medical marijuana sector aims to raise about US $4.1 million (AUS $5.4 million) to support MMJ trials on human subjects. If successful, Medlab Clinical plans to spend the money to accelerate a program of human trials of cannabis-based pain management therapy for cancer patients at one of Australia’s top oncology research hospitals, Business Insider Australia reported. According to Medlab’s filing with the Australian Securities Exchange, the company hopes to raise the amount by selling 17.87 million shares at 30 Australian cents per share, or about 23 U.S. cents. The statement also said the company would use the money to buy research and development equipment for the trials, and to market probiotic nutritional products at home and abroad. The government of the Australian state of New South Wales granted Medlab permission to carry out clinical trials of medical cannabis as a pain therapy. The company listed on the Australian Securities Exchange in July 2015 and on Monday its stock traded at 42 Australian cents, or 32 U.S. cents.